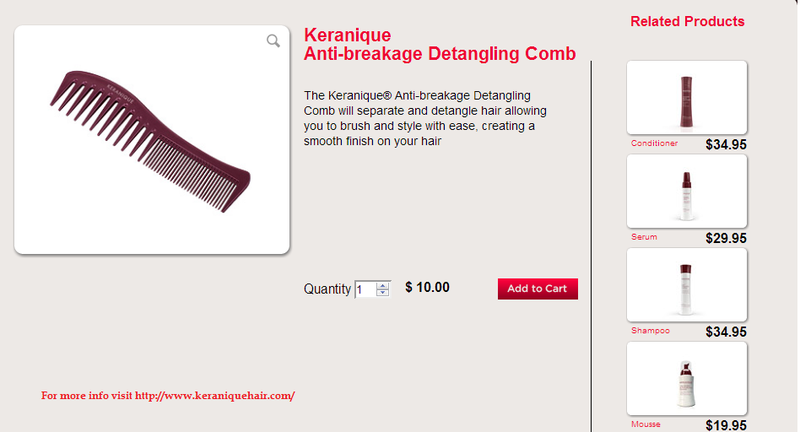 Hair issues can appear when you least expect it. 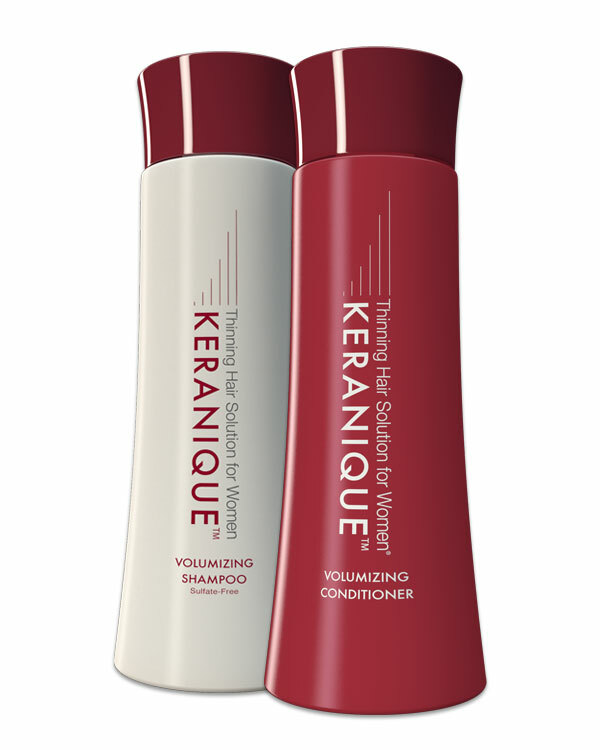 A change in your sleeping pattern, inadequate intake of vital nutrients, an inactive lifestyle, certain medications and stress can all contribute to hair loss and thinning hair. 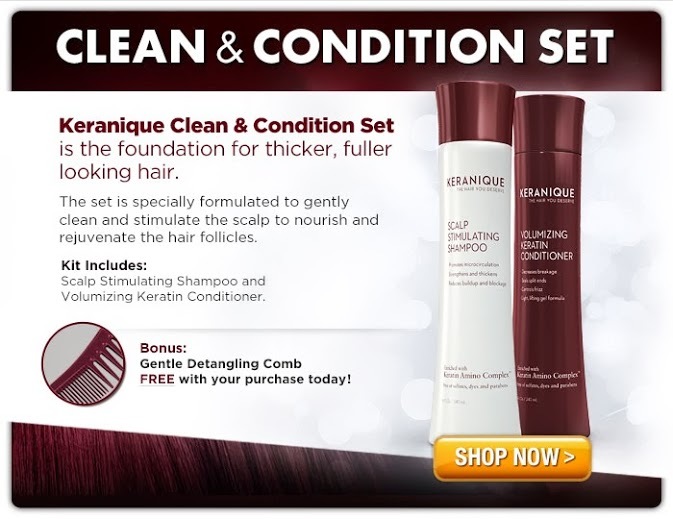 The first step to caring for thin and limp hair is to switch to hair care products specifically created to cater to the needs of women with thinning hair. 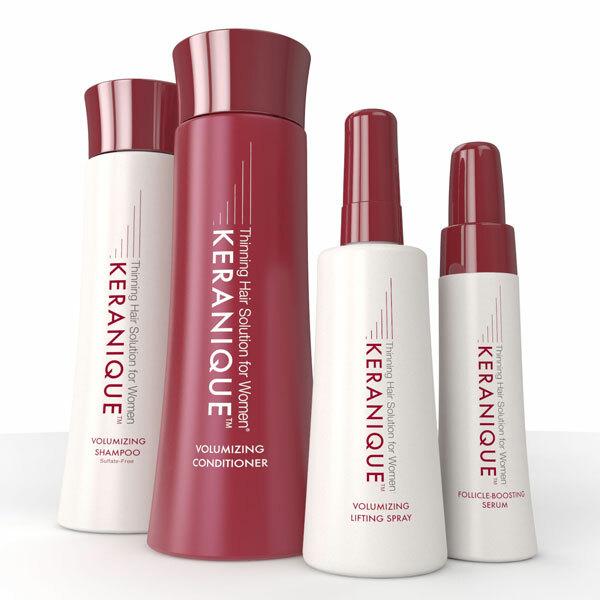 Such formulations are generally gentler than regular hair care formulations and help volumize thin hair so that it appears thicker and fuller. 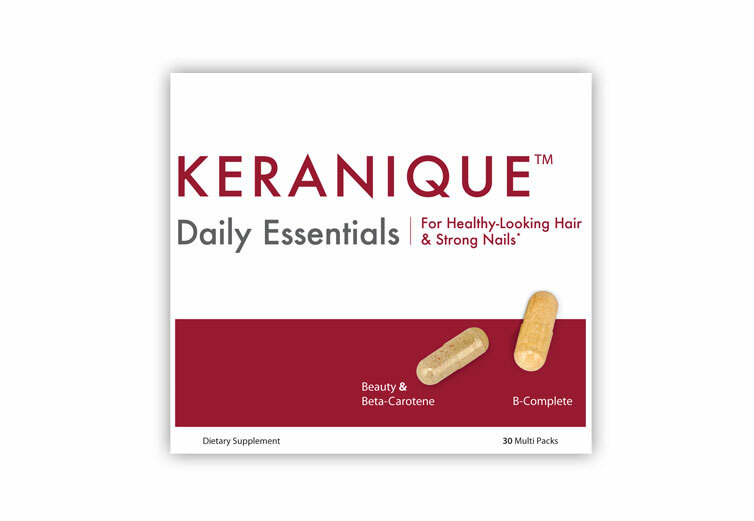 Keranique offers you an exciting range of scientifically advanced hair care formulations especially designed to help women maintain, protect and nourish thinning hair. 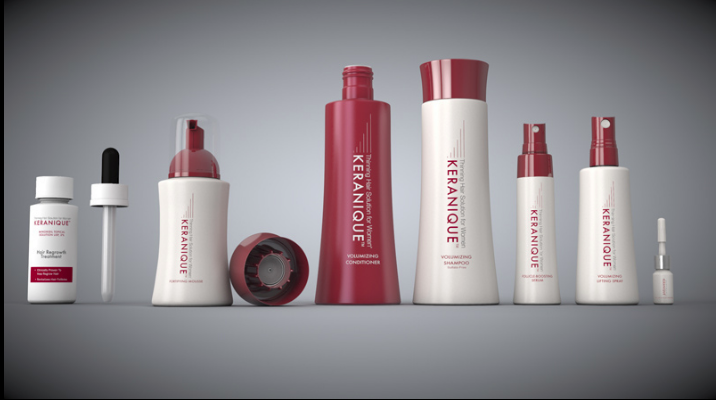 After excessive hair loss, most women find it difficult to grow back hair and regain hair thickness. 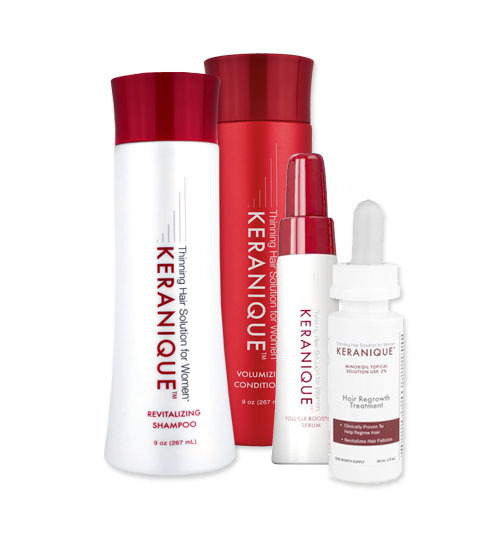 Keranique now offers the Hair Regrowth Treatment – a unique product that targets women who are serious about regrowing hair. 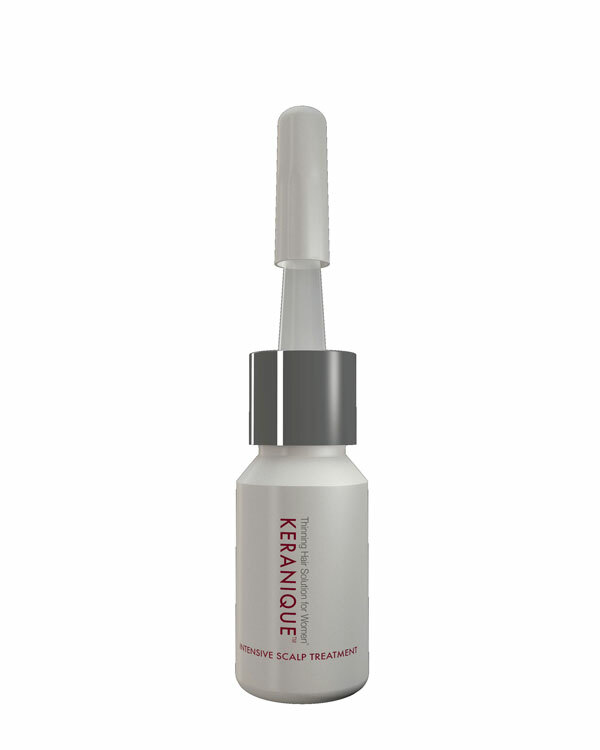 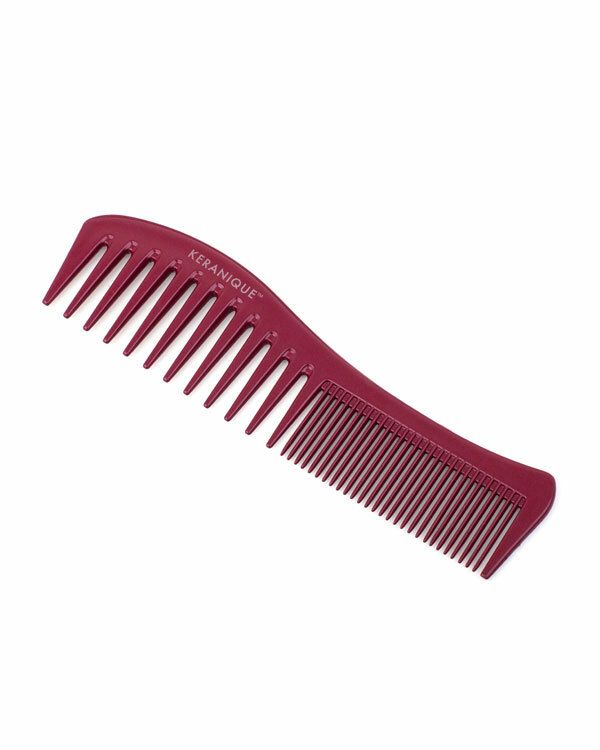 The product contains Minoxidil – an FDA approved substance clinically proven to help regrow female hair. 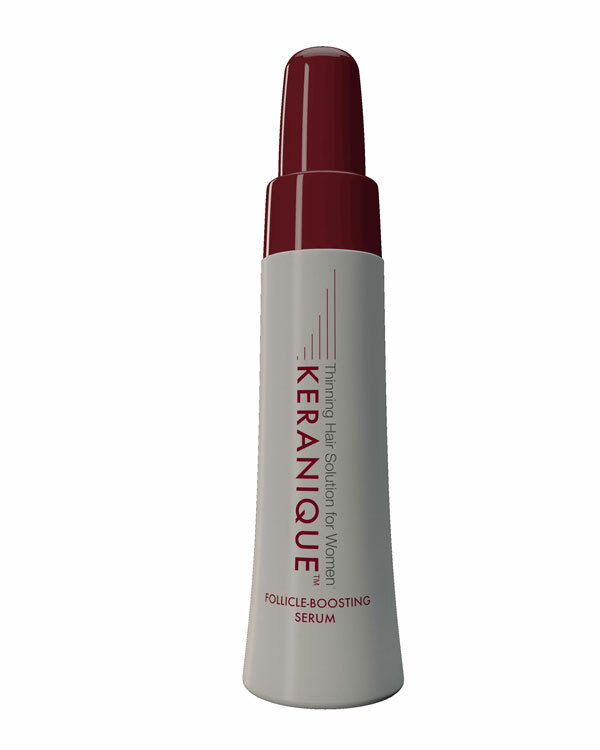 Minoxidil focuses on rejuvenating hair follicles and creating the optimal environment for the regrowth of new and thicker looking hair. 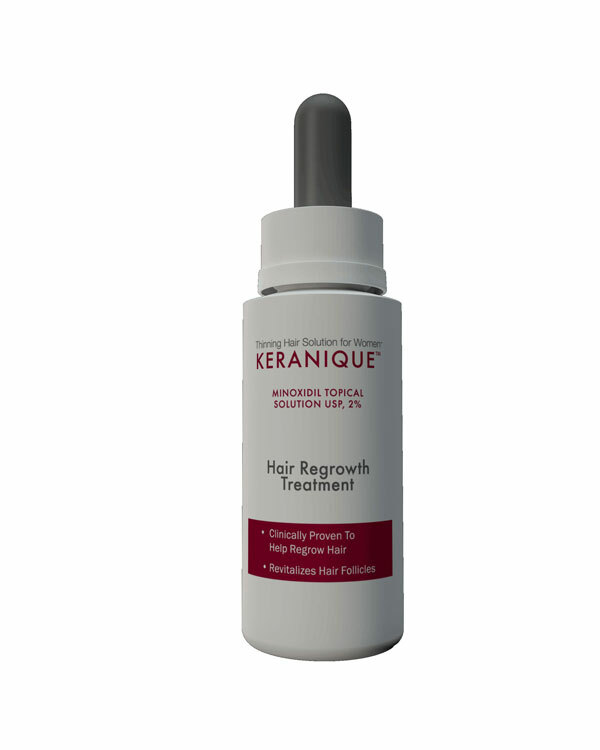 To accomplish this, Minoxidil improves the supply of oxygen, blood and nutrients to hair follicles. 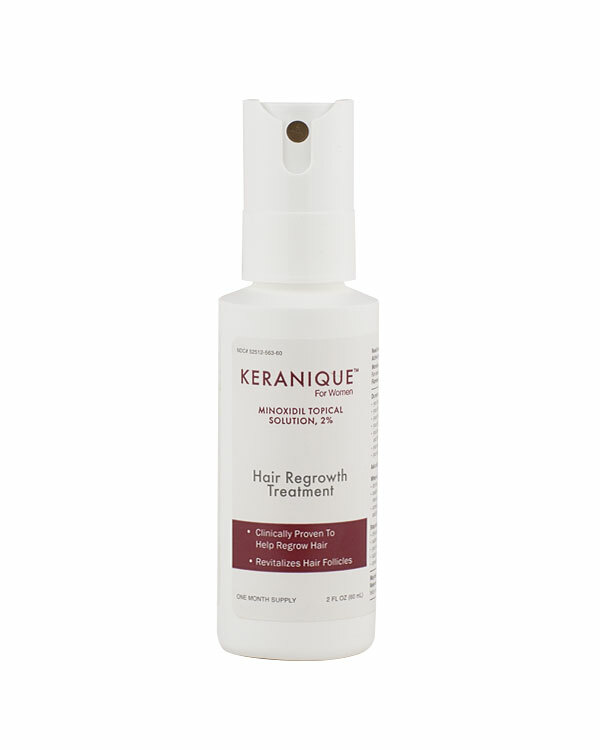 The well-nourished follicles work better in enabling the regrowth of hair in women. 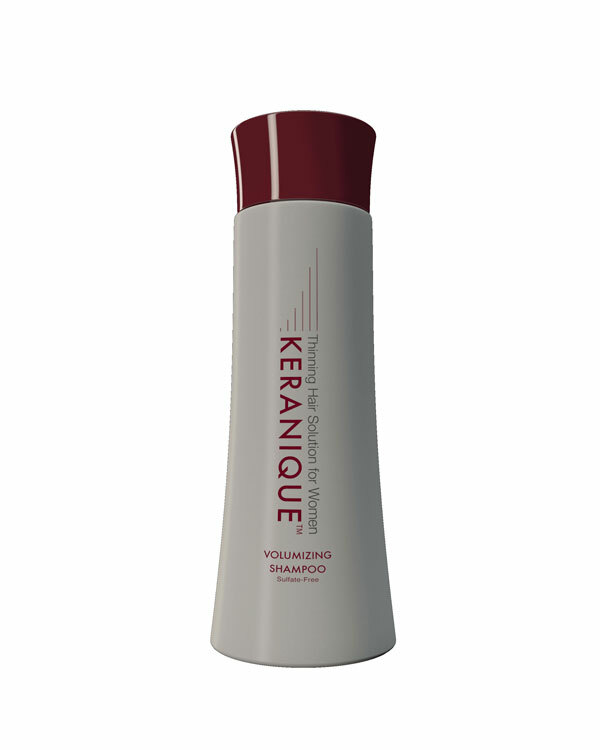 If you do not want to regrow hair but would like to make it look fuller and thicker, try the volumizing styling products from Keranique. 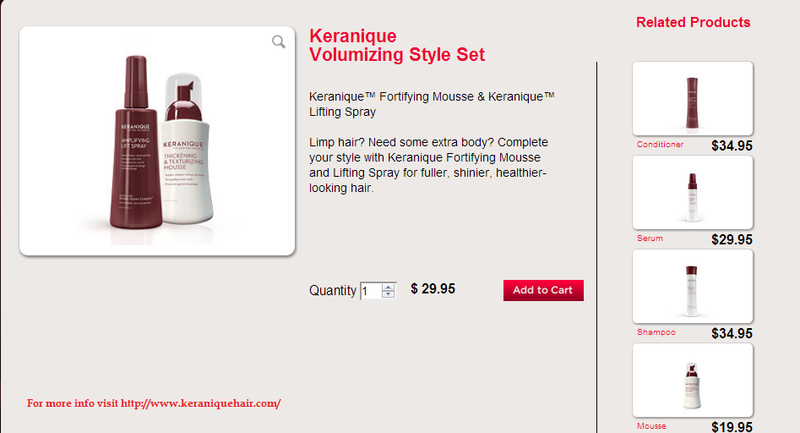 The Amplifying Lift Spray is a very popular product among women. 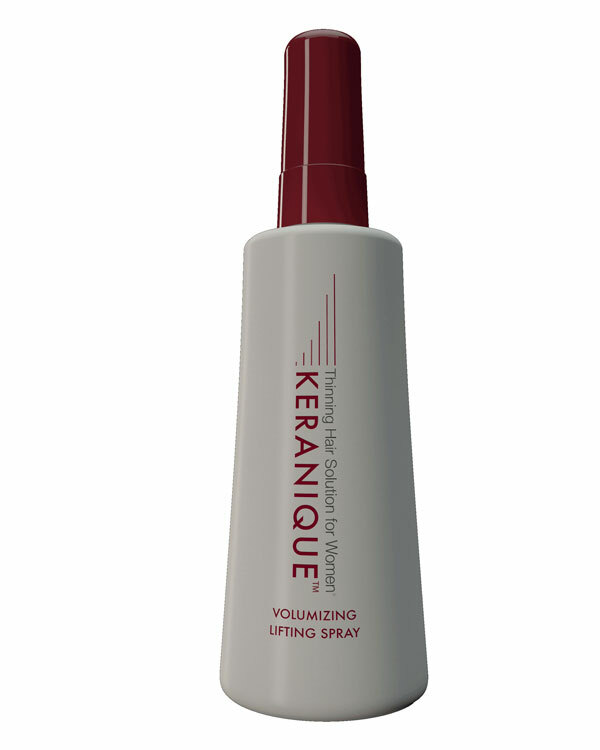 This styling spray instantly adds extra body, fullness and volume to thinning hair. 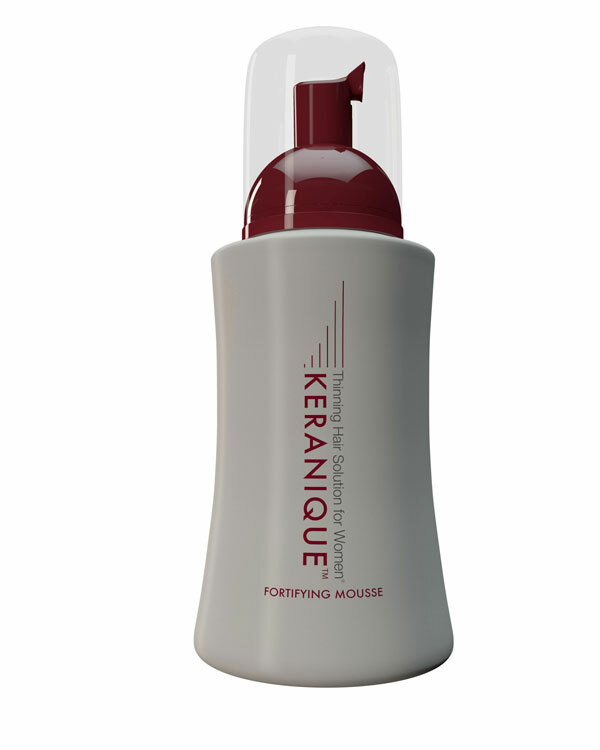 It lifts hair right from the roots to make thin hair appear thicker and bouncier. 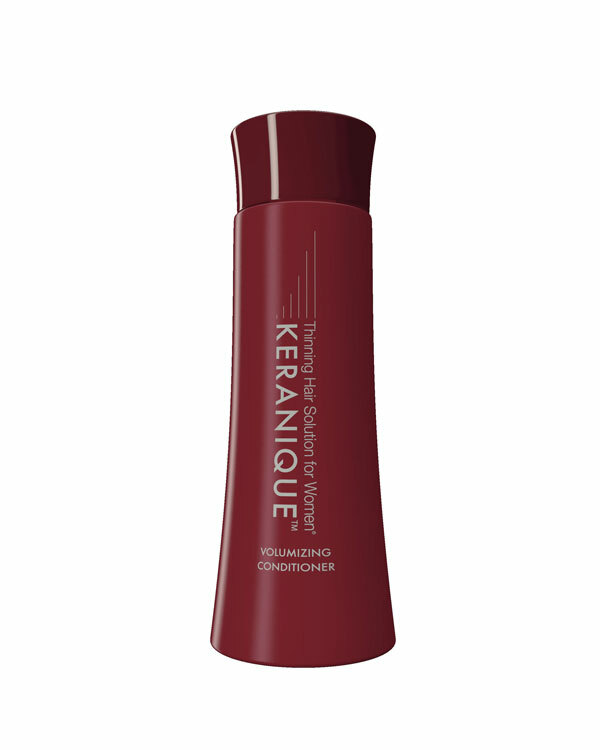 It also improves the elasticity and strength of hair to make hair more manageable and resistant to breakage while styling.